Great location!! The builder doesn't build this unique model anymore. 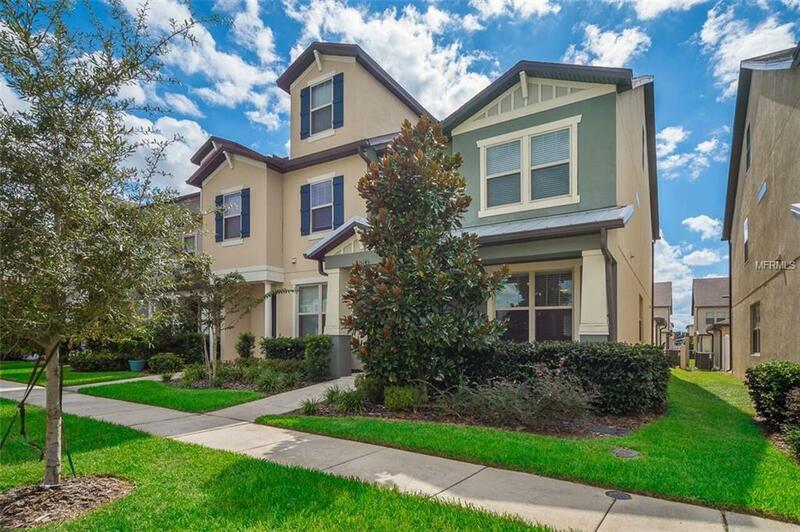 This stunning end unit is a 3 story townhouse located in the beautiful gated community of Lakeshore at Narcoossee, only minutes from Lake Nona, Orlando International Airport and Medical City. The spacious townhouse boasts 2 master bedrooms and 2 1/2 bathrooms, 2 car garage plus a super sized loft on 3rd floor. The 3rd floor can be converted to a 3rd bedroom. This great home features an open floor concept on first floor with a large living room and gourmet kitchen with all tiled floors. The elegant kitchen has 42" beautiful cabinets with crown molding, hardware, drawers, granite counter tops, back splash, pendant lights, stainless steel appliances, kitchen island and window over the sink. The 2 master bedrooms are located on 2nd floor with their own bathrooms with dual sinks, granite tops, showers and walk in closets. There's an open but private patio with brick pavers that leads you to the garage. This model offers a front porch area and abundance of natural light due to being an end unit. Lakeshore at Narcoossee is a great community with gated entry, a resort style pool, fitness center, playground, dog park, and a community dock with boat slip. THIS IS THE UPGRADED LIFESTYLE YOU'VE BEEN LOOKING FOR!!! Property also qualifies for LEASE WITH OPTION TO BUY program.